But even if normally occurs or detected during old age, some early signs begin to show even when you are still in your thirties or forties. This is the reason why you need to be aware of its early signs so that you can take necessary treatments to slow down its progression and still be able to take care of your health before it is too late. Here are some of the early signs of dementia you should not take for granted. 1. Short term memory loss. Short term memory loss is something that we think as a natural event. However, this is not something you should ignore because it could already be a symptom of dementia. You would know that it is already something serious if it has been happening or if you are forgetting things a couple of times in a day. If you are becoming more forgetful, you might as well just have yourself checked. People who possibly have dementia are the ones who are also having difficulty when it comes to focus and concentration. It is because these tasks require higher function from your brain. So if you notice that you are struggling with focusing your attention to some things no matter how simple they are, it might be a sign of dementia. 3. Difficulty recognizing the places you have grown familiar with. 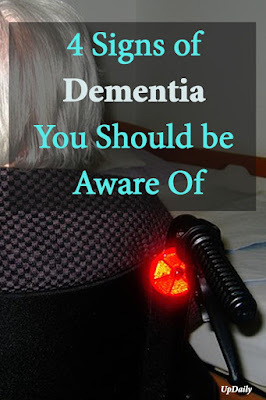 If the places where you spend most of your time like your room, house and office, become suddenly unfamiliar or they seem like they are foreign, it could be a sign that you are having issues with mental function and it could be related to dementia. Speech or language is very natural to us because you don’t really have to spend time thinking before you open your mouth and say a word. However, if you find yourself stopping in the middle of your sentence because you are suddenly at a loss for words or you don’t know how to choose the next words, it could be an alarming. This is especially true when you can’t even think of the words you are using most of the time and it feels like you are searching in all the places in your brain for the words you actually use daily.